Paris, the city of love. Destination of choice to hundreds of thousands of couples every year. One of the most romantic and culturally vibrant cities in the world. What better place to start off your adventure into the world of exploration and love? Travel Dating is an ideal way to get the best of both worlds, and Paris is an ideal place to start. All you need is an account with a reputable Travel Dating site, a valid passport and a willing partner and you’ll be quickly on your way to a world of adventure and excitement. However, what are the best ways to plan out such a trip? It may seem redundant to offer advice on this subject, but meeting strangers can be a daunting – and sometimes risky – experience in most usual cases, but with travel dating the case is far from usual. When meeting with our travel partner, you will have to keep in mind the risks involved: you (and they) are a stranger in a place you’ve (probably) never been to before. You’ll be abroad, far from home, and entirely reliant on one another for support in the case of things going wrong, so you need to make sure you get off to a good start. Plan to meet in a public place, somewhere easy to find, where you can be sure you can be safe. 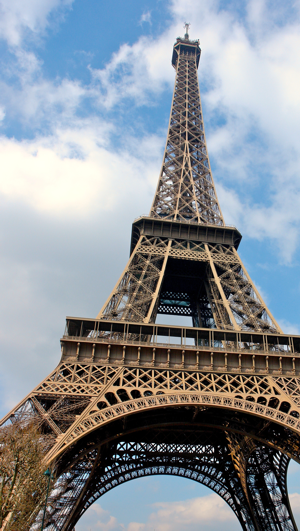 It may even be beneficial to tie in your first meeting with your first steps on your journey by choosing to meet up at one of Paris’ notable landmarks, such as the Eifel Tower or the Champs-Élysées. Choose to meet early in the day, giving yourself time to adjust to one another before you start out and have a backup plan (a hotel you can retreat to, or maybe money for a flight home) in place before you leave your home, just in case things do not go well. Remember, both you and they will be in a new place with new people. It can be an anxious experience, but if you’re both respectful and careful it can be the beginning of something beautiful. Paris is full of beautiful places to stay, and choosing one will come down to a number of factors that you and your travel partner will need to discuss beforehand. Your first choice will be between which type of accommodation you wish to stay in: hostel or hotel? Hostels are a much cheaper option, ideal if you’re on a budget, and also a great way of meeting more people. If you can afford it, and wish to focus more time and attention on getting to know your travel partner, getting a hotel is the better option. Though they tend to get more expensive the closer you get to those popular tourist destinations, a shared room will ensure the two of you get time alone, and you’ll have access to better-quality amenities. It’ll come down to preference and openness, and can help make your travel date the best it can be if it is what you both want to do.